Megyn Kelly interviewed GOP media consultant Andrea Tantaros about Sarah Palin's new Newsweek cover, which is really mean to Sarah Palin. According to Tantaros, the close-up cover is a hit job because Newsweek didn't retouch it to make Palin's skin look flawless — you can see that she has "unwanted" facial hair, wrinkles and pores. 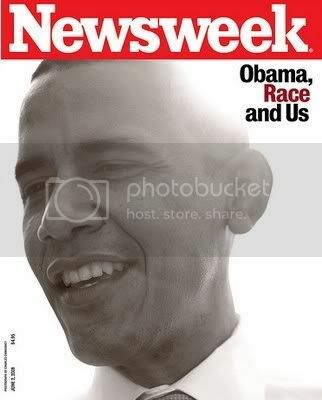 It's partisan, of course, because Obama's covers all "make" him look flawless. Well, if we go to the record on that one, I can see pores, 5 o'clock shadow, wrinkles, stray eyebrow hairs and a mole in each of the four covers I looked at. Julie Piscitelli of American University points out that Palin looks beautiful and accessible and thinks that demanding that news magazines alter reality to celebretize our politicians "is going a little too far." Oh, Julia. When you're rational like that, you'll never get invited back.